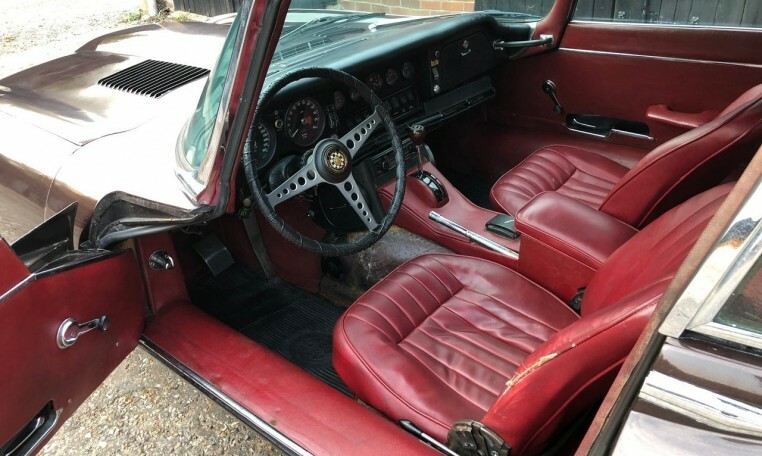 4.2, LHD, Automatic, Matching numbers, 79000 Miles, Runs & drives. 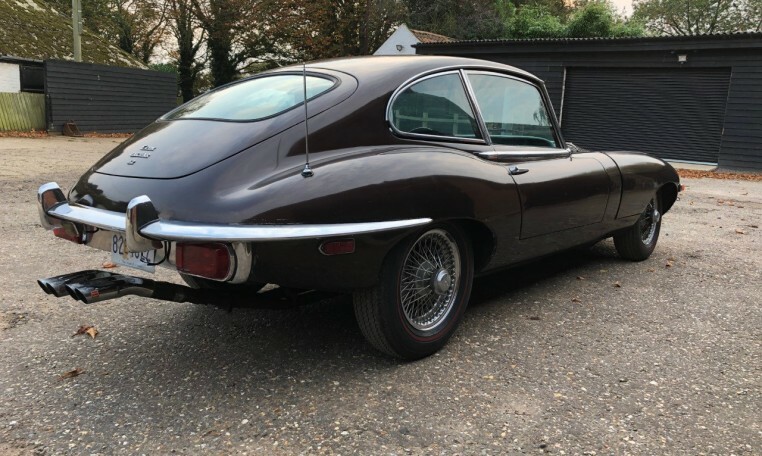 Direct from the USA we are very pleased to offer this excellent example of a very straight series 2 2+2 for light restoration / recommission. 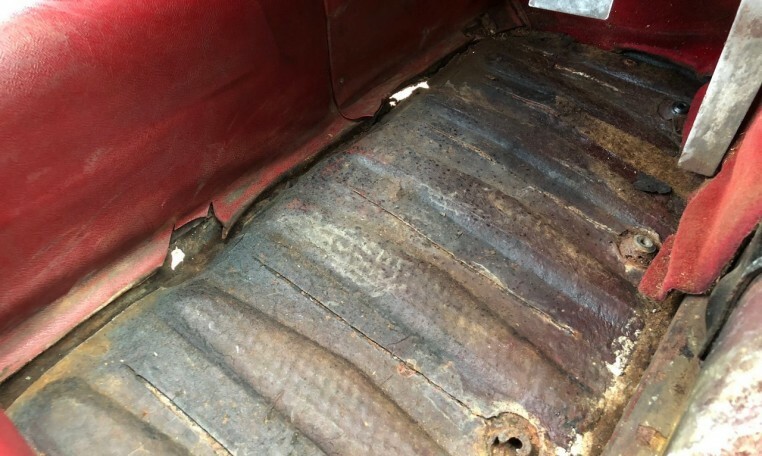 This is an original, complete matching numbers car, which although has not been on the road for some time does run and drive as it should. 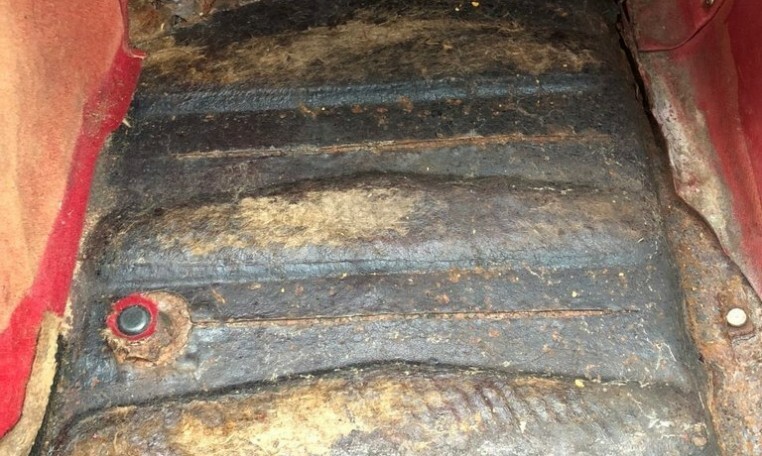 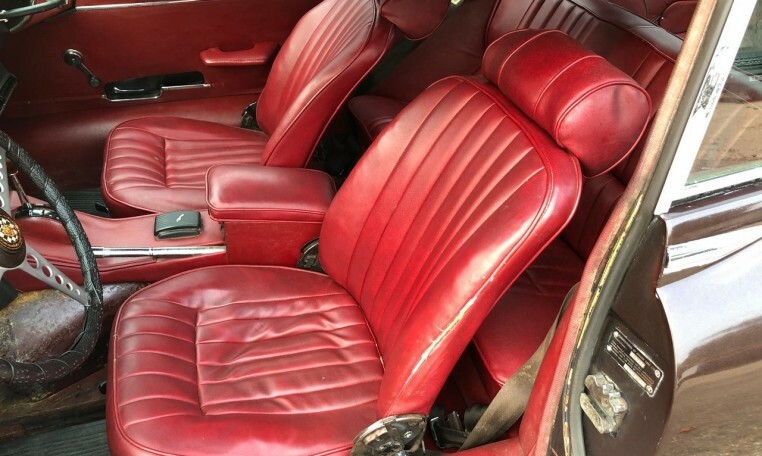 The last owner had this car for 31 years & is believed to be only the second owner! 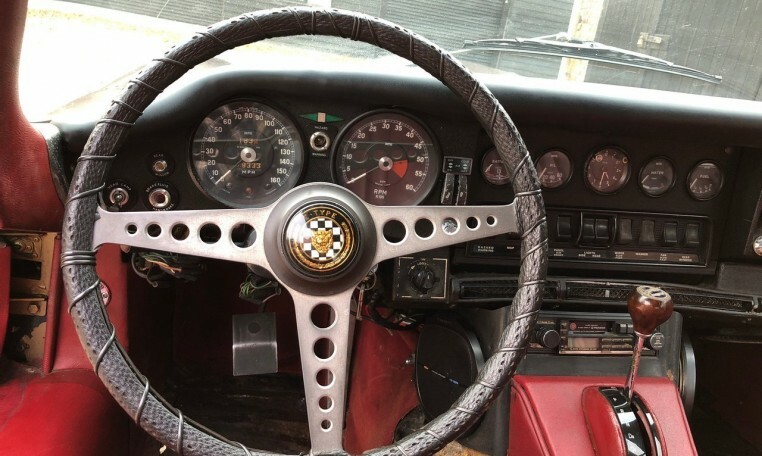 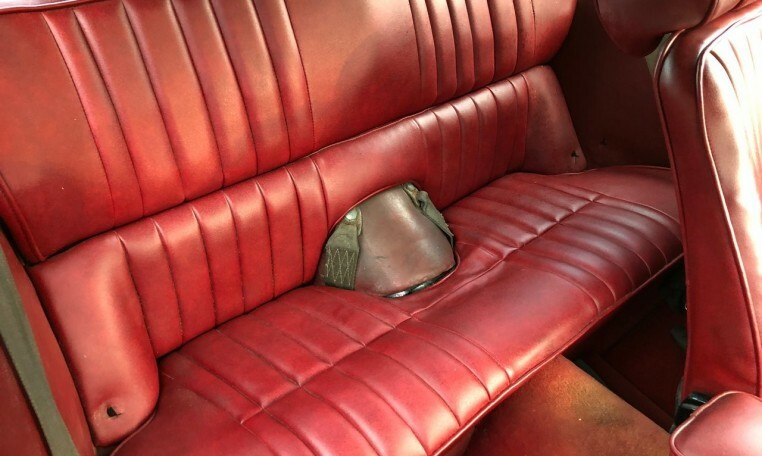 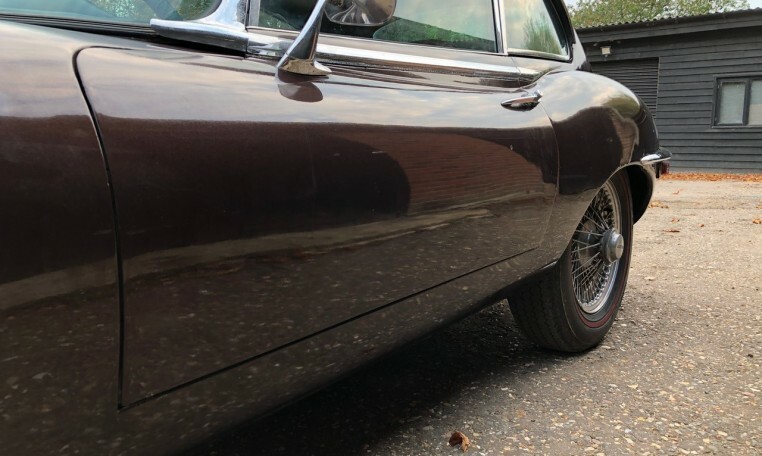 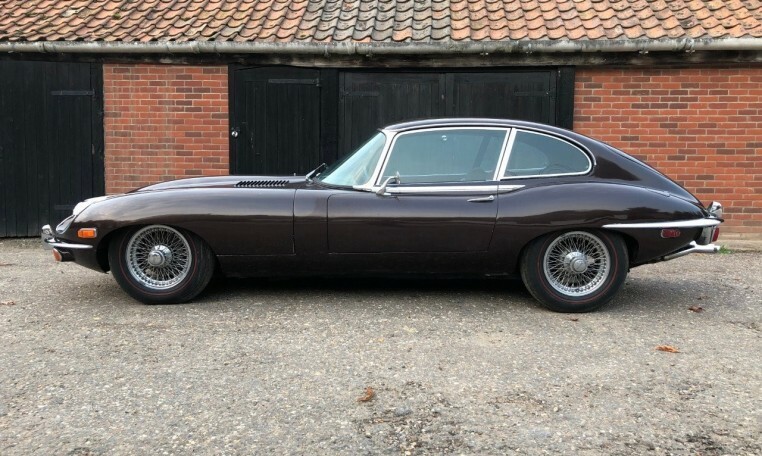 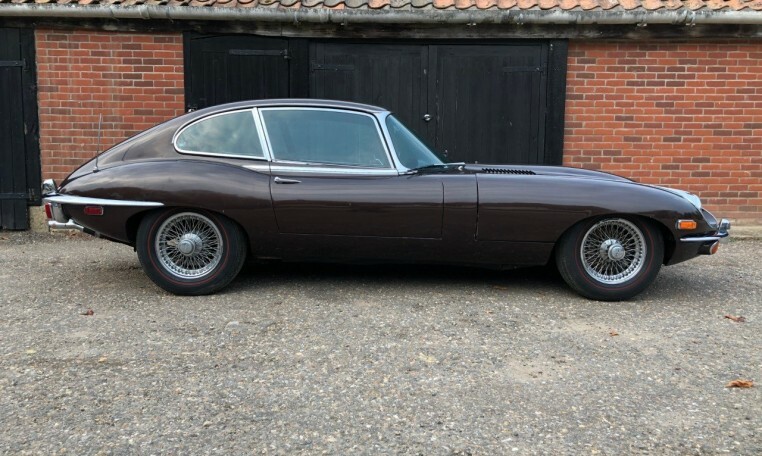 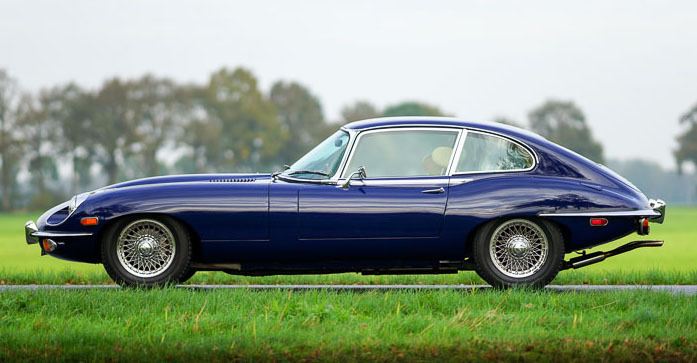 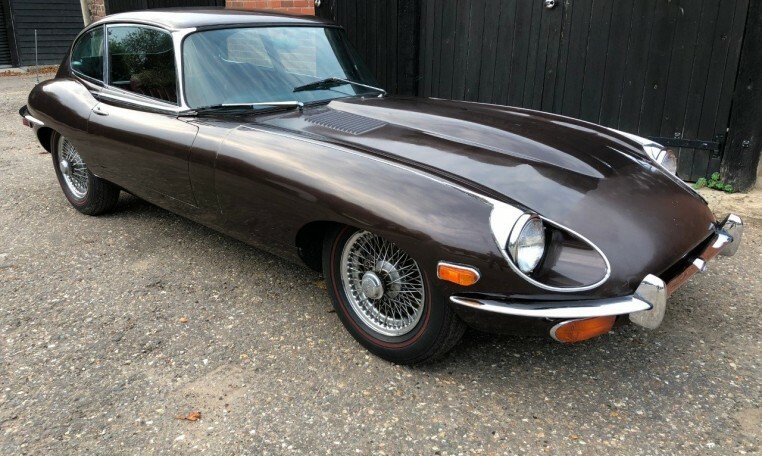 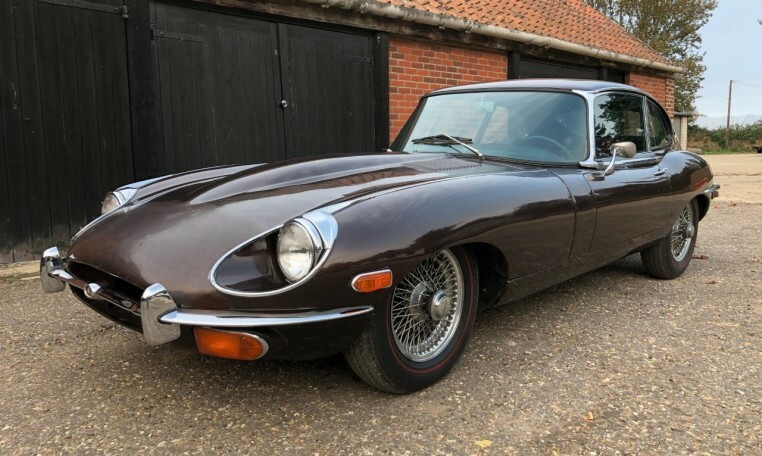 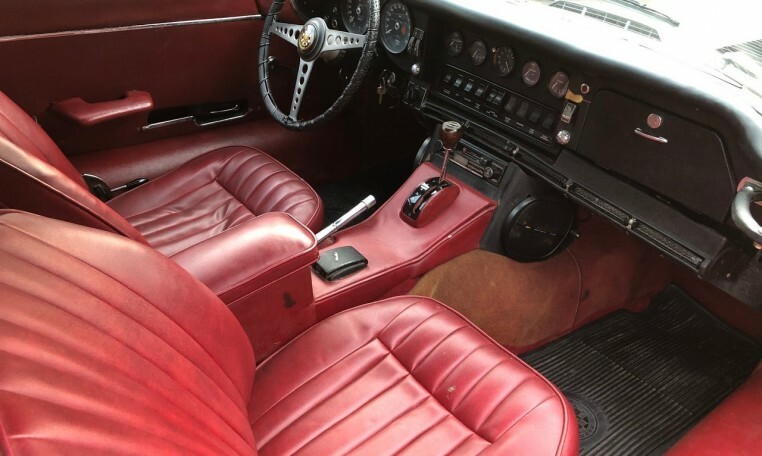 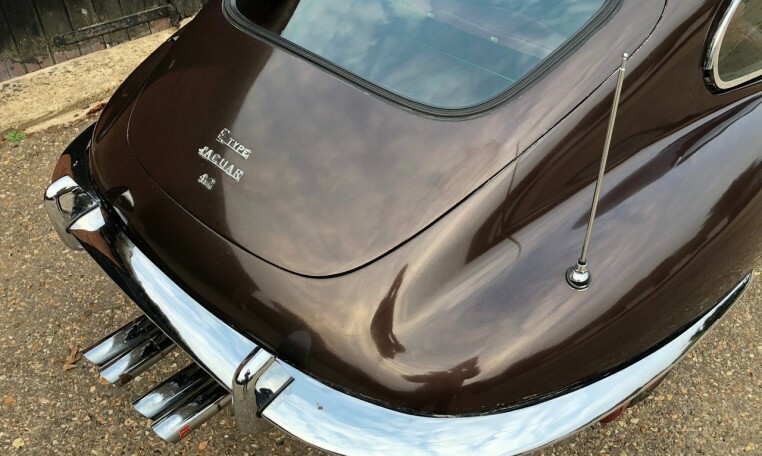 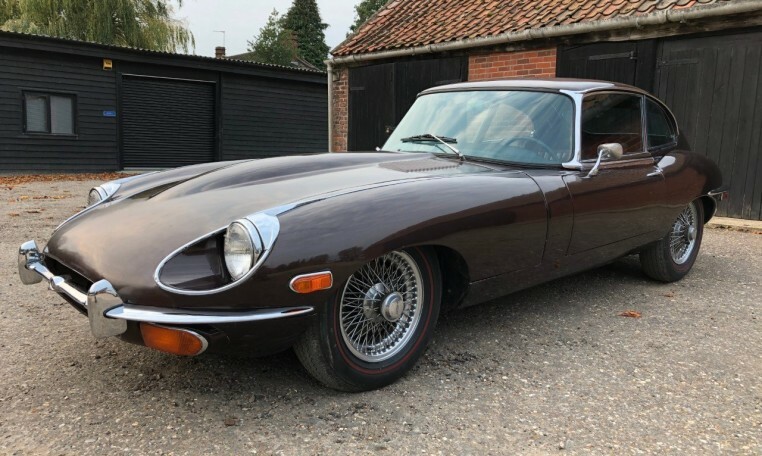 Originally supplied in one of the most desirable E-Type colours of Dark Blue with red interior (see example photo), the car has since been painted in sable brown some time ago. 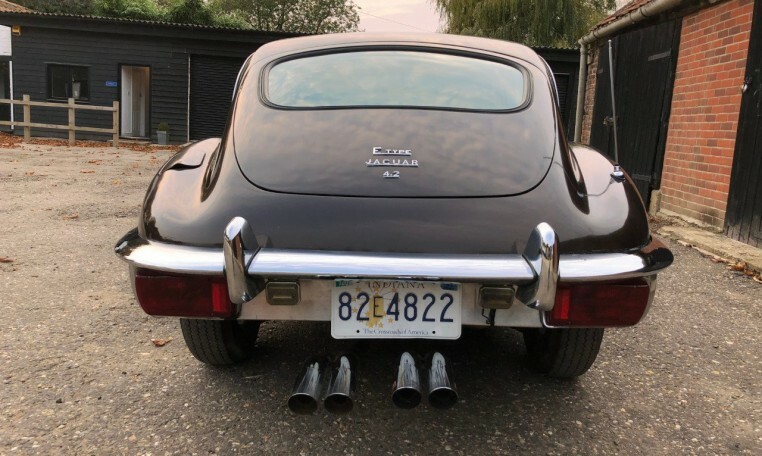 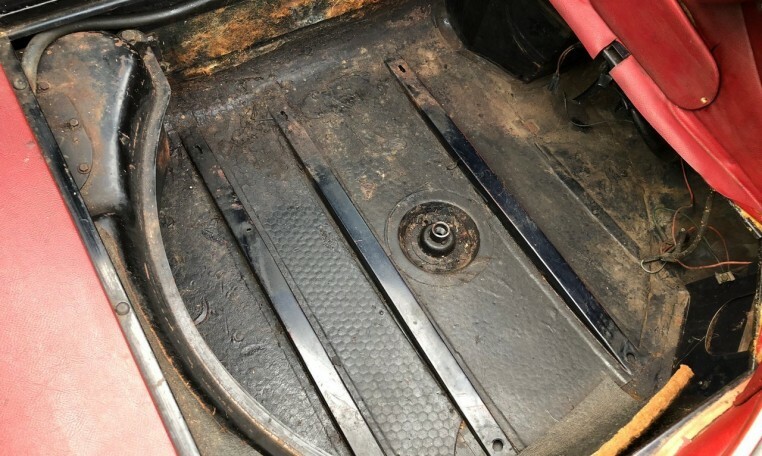 Overall this E Type is in very good condition apart from the drivers side floor which has corroded along the floor panel outside seam. 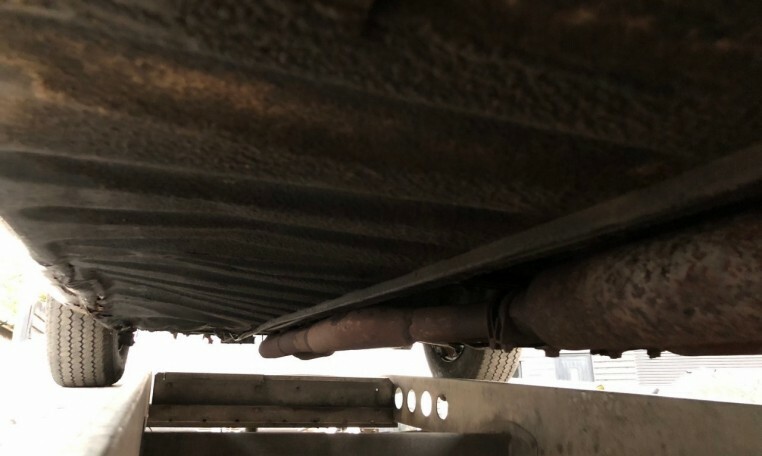 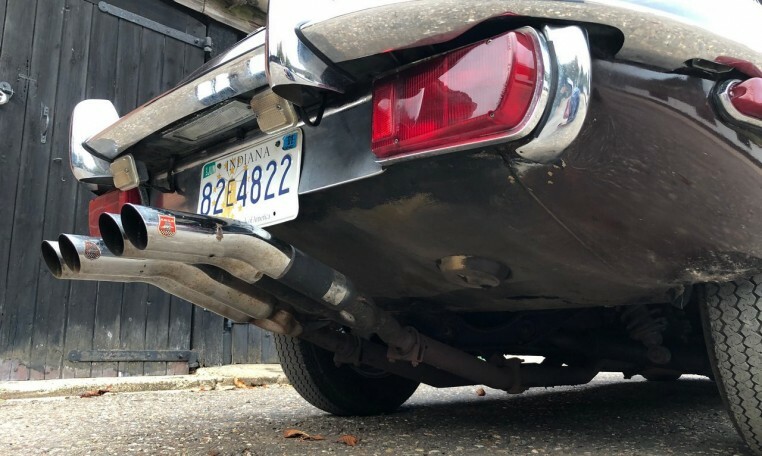 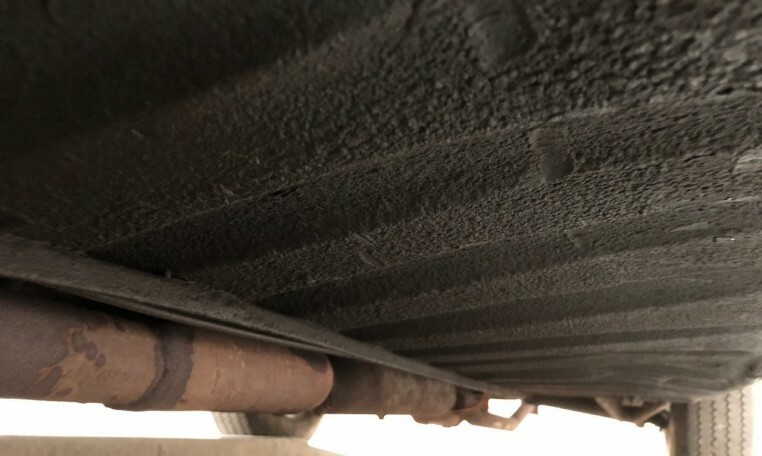 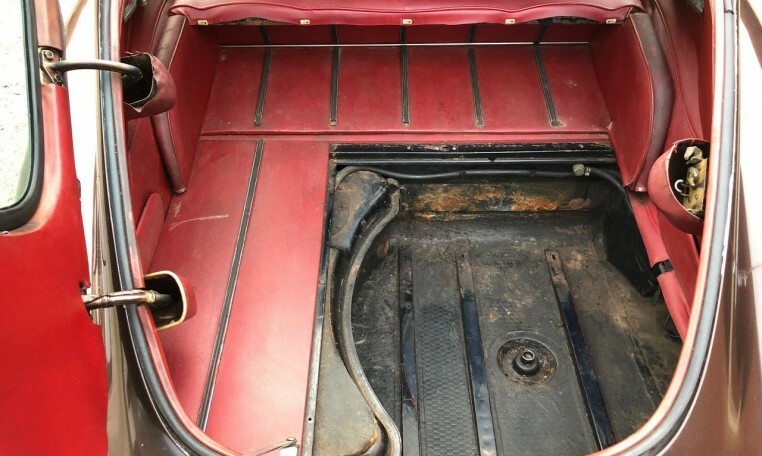 Other than this, there really is zero rust on the car anywhere else and all the other usual problem areas are completely solid & rot free including the boot & bulkhead. 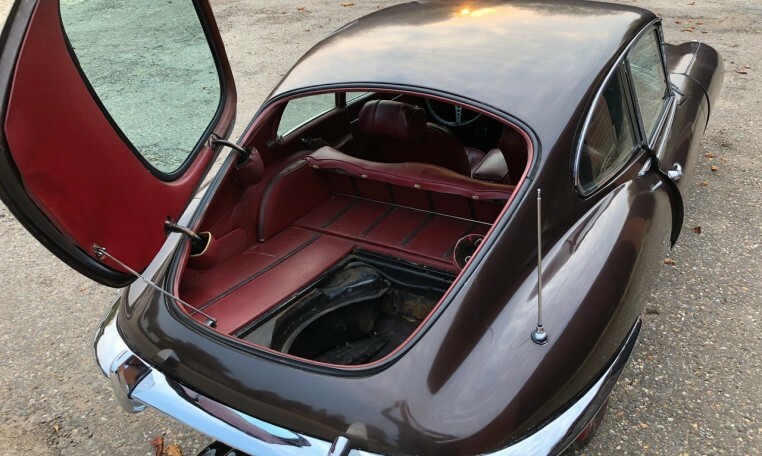 The original body panels & chassis are all also in very good condition. 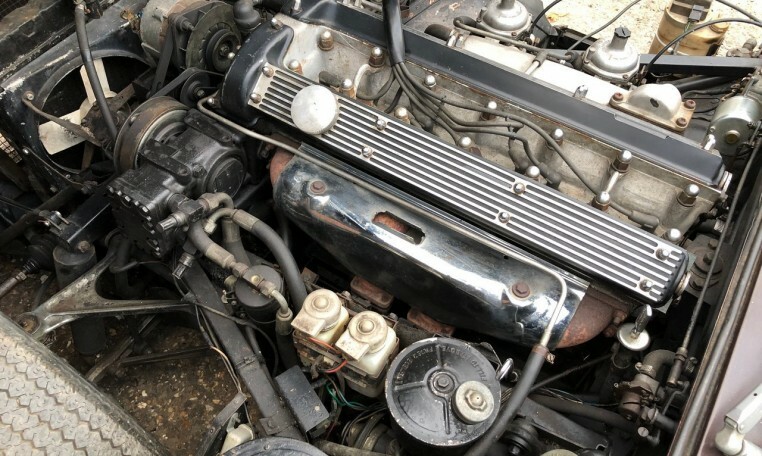 The matching numbers engine starts and runs well. 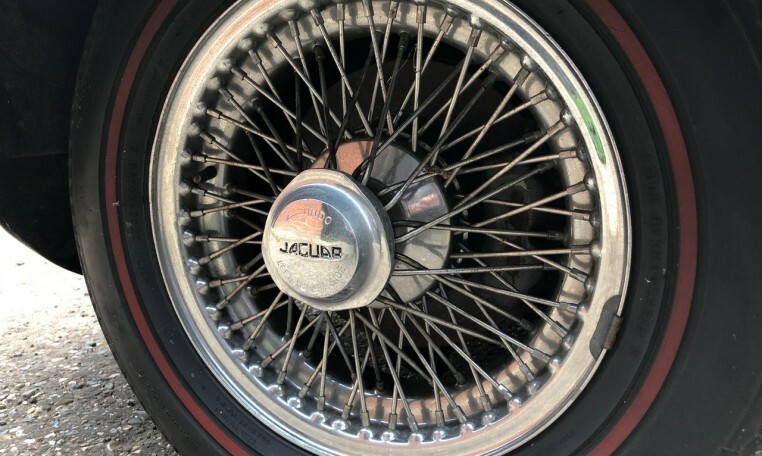 The chrome trim is all present & usable as are the original chrome wire wheels including the spare. 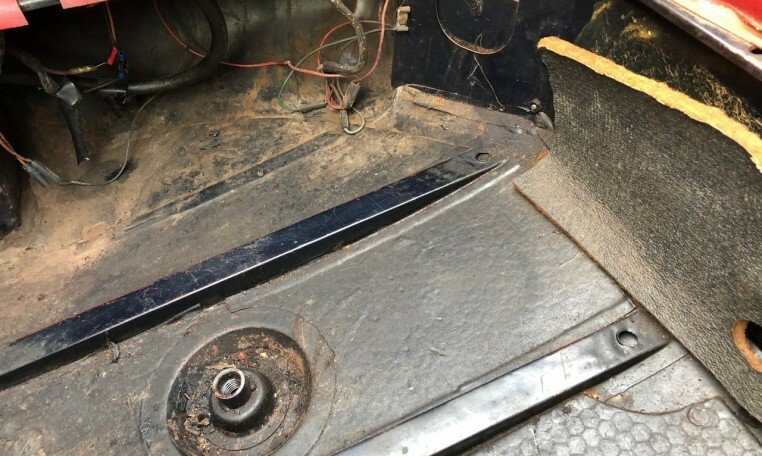 The glass is perfect with no cracks and the dash is also usable with no splits. 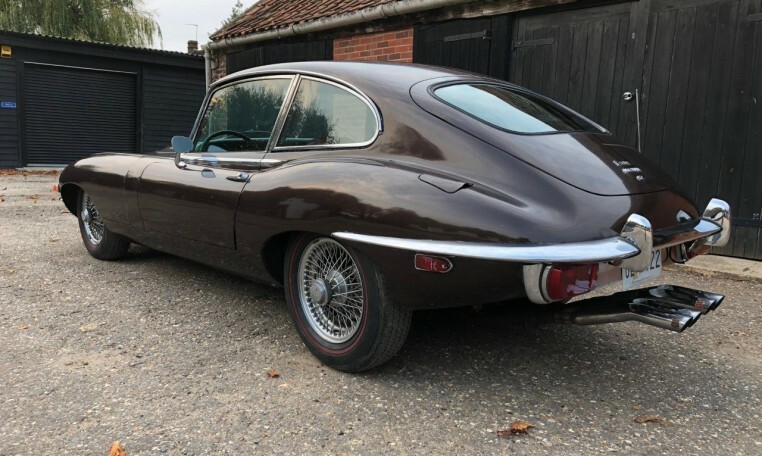 There is a history folder present with the car with various invoices, the original handbook and many past registration certificates. 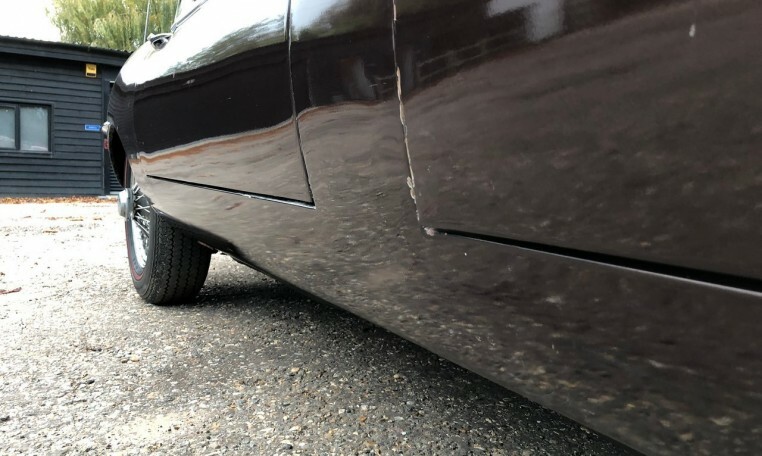 This car is very close to passing an MOT & could be used as is but really it deserved to be repainted back to its original colour as per the last photo shown as an example. 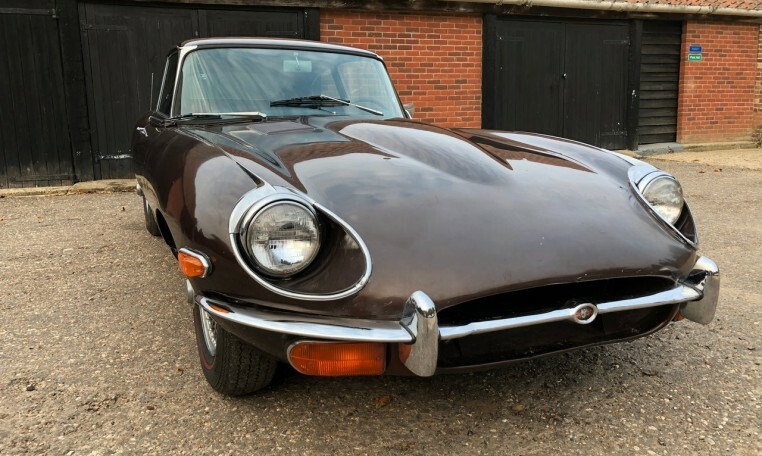 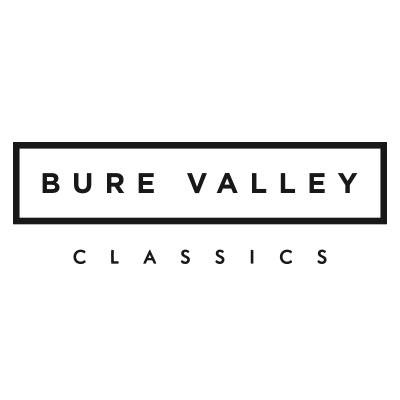 With solid, original cars like this becoming increasingly hard to find this represents a fantastic opportunity to start your restoration from a very solid base, rather than spending months in the body shop or for a small investment get this car on the road and enjoy driving it as it is.